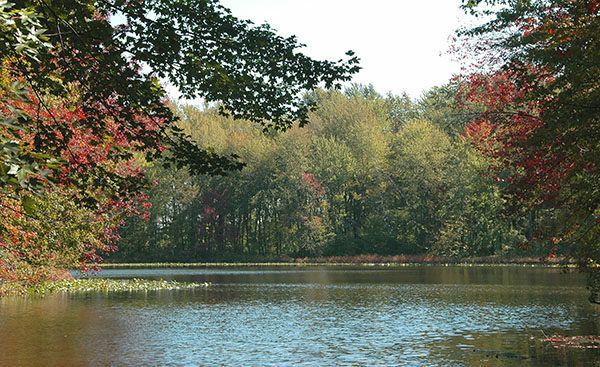 In 2003, the Washtenaw County Natural Areas Preservation Program purchased 187 acres west of Ann Arbor from the Brauer family and then seven years later obtained an adjoining 39 acres. 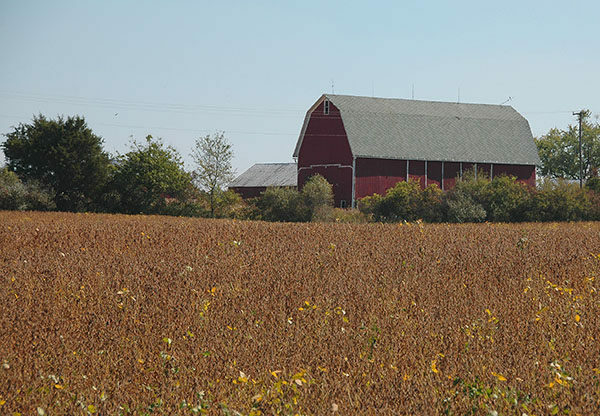 The result was Brauer Preserve, a 226-acre tract that protects a diversity of habitat types, from sandy knolls and upland forests to wetlands, but also includes 85 acres of active farm land. Thus the scenery on any visit to this rural preserve ranges from red barns and fields of soybeans to the mature trees and impressive fern communities that thrive in the hardwood swamp surrounding Lake Isabella, Brauer’s crowning jewel. There are parks and preserves with more impressive natural scenery in Washtenaw County but Brauer does offer an out-of-the-way destination that is quiet, uncrowded, if there is anybody there at all, and free from mountain bikers. Its diversity of habitats attracts birders who come to sight a variety of species including Indigo buntings, black-throated green warblers and belted kingfishers. 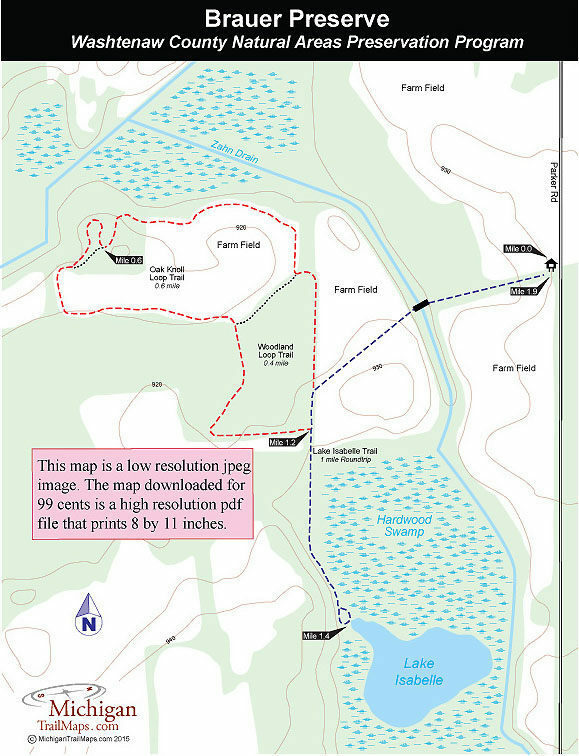 There is a 2-mile trail system in the preserved, composed of three interconnected loops; Lake Isabelle Trail, Woodland Loop Trail and Oak Knoll Loop Trail. The hike described here is a combination of all three for a walk of 1.9 miles. Following just the Lake Isabelle Trail to small lake is a round trip hike of a mile. Keep in mind that any of the trails can be wet and muddy in the spring but especially the route to Lake Isabelle. Lake Isabelle Trail heads west from the trailhead as a mowed lane through a farm field, crosses Zahn Drain and then cuts across another farm field. In between them native grasses have been planted to serve as a buffer to the adjacent woodlands and waterways and provide food and shelter for wildlife. At Mile 0.25 you arrive at the junction with the Woodland Loop Trail. Head north (right) to continue skirting the field and north (right) again at the next junction to follow the Oak Knoll Loop Trail. Oak Knoll is a 0.6-mile loop with most of it skirting another farm field. But at Mile 0.6 of this hike you do swing into the upland forest to climb the small knoll where you can look down into the trees on three sides of you. Oak Knoll leads you back to the farm field. You re-enter the woods by heading right (south) at the next junction to continue on the Woodland Loop Trail, a true foot path here. Within 200 hundred yards Woodland Loop breaks out to swing east and skirt a farm field before arriving at a junction with Lake Isabelle Trail at Mile 1.2. This is by far the most interesting stretch of the hike as you head south (right) and follow an old two-track through dark, greenish hardwood swamp, reaching the lake at Mile 1.4. There is no observation deck or boardwalk at the lake, the trail simply ends here as a cul-de-sac of sorts. The lake’s marshy shoreline makes it difficult to skirt it for a better view of the water but you can see most of it from the north end, including any waterfowl or birds that might be feeding there at the time. The final leg of the trek is backtracking Lake Isabelle Trail to the trailhead on Parker Road. At the trailhead there is a small parking area and an information display board. The natural area is open year-round and there are no entrance fees. From I-94 depart at exit 167 and head south on Baker Road. From Baker Road turn right (west) onto Jackson Road and then left (south) onto Parker Road. The preserve parking area is posted on the west side of Parker Road, a quarter mile south of Waters Road and 0.7 miles north of Ellsworth Road. Contact the Washtenaw County Parks & Recreation Commission (734-971-6337; parks.ewashtenaw.org).